At his retirement party this month, we celebrated the legacy Rafael Velazquez has left on thousands of individuals while working with CCANO for over 10 years. Before joining us, Raphael was a Marine, General Electric executive, single engine pilot, patent owner, and expert sharpshooter. He has been an active role model in the New Orleans community, particularly in his previous role as a principal at St. Augustine High School and as a deacon. 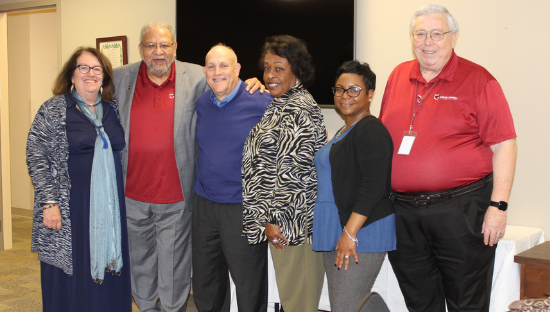 In his tenure at CCANO, Rafael served as a case manager and exemplified the values of the organization through his work in the aftermath of Hurricane Katrina, the BP Oil Spill, Hurricane Isaac, and, more recently, Parish and Community Ministries. As the architect for the highly successful Benefits Enrollment Center (BEC) program, he has enabled hundred of residents to access Medicaid, SNAP, and Medicare Savings Plan, which resulted with families in our community receiving millions of dollars of benefits. He has worked very closely with our Catholic parishes providing compassion and support by building strong relationships with our priests. "Rafael's joyous demeanor and positive attitude will be missed. He has served his country, family, and Catholic Charities exceptionally well over the years," shared Tom Costanza, CCANO Division Director. 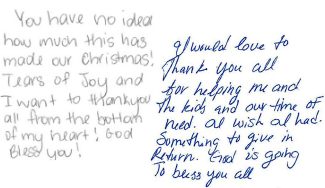 Letters of Love: What a Difference You Made! By answering the call to give this past season, you ensured that 1,320 individuals in our community had a joyous holiday! 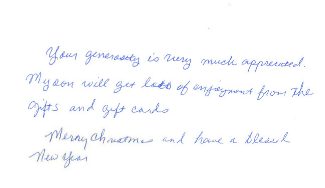 We appreciate each of our 177 donors and would like to share our clients' gratitude with you. Read more here. 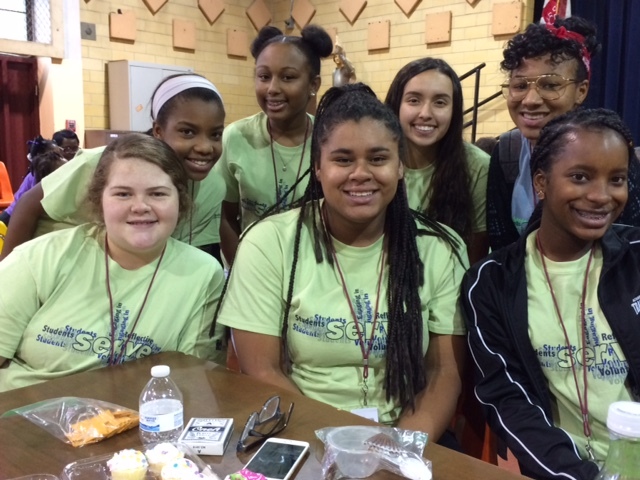 The weekend of Saturday, February 16 and Sunday, February 17, the second collection at all masses in the Archdiocese of New Orleans will benefit Catholic Charities. Your gift through this second collection will bring life-giving care to those in need in our community. 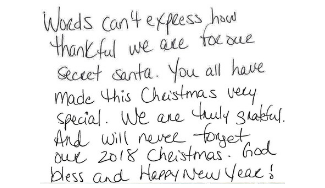 Last year, your donations allowed us to help over 77,000 individuals including the homeless, hungry, the elderly, at-risk youth, pregnant women, individuals with developmental delays, and more. 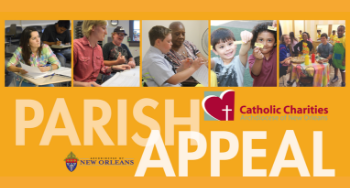 See how CCANO brings hope and help to those in need in your parish! There's still time to support the Archbishop Hannan Community Appeal Campaign! The annual Archbishop Hannan Community Appeal Campaign (AHCA) raises undesignated funds so that CCANO can quickly, effectively, and compassionately serve the homeless, hungry, elderly, at-risk youth, pregnant women, formerly incarcerated, and developmentally & physically disabled individuals in our community through our 30+ programs. Make your gift today! Make your gift today! Volunteer or Intern with CCANO! Improve your health while improving your community! Studies show that when you volunteer, your stress levels decrease, your immune system, is strengthened, and your overall sense of life satisfaction increases. No matter what your skill set or interest, we have opportunities in our 30+ programs to volunteer or intern that match your talents and passion. Check out our current availabilities!